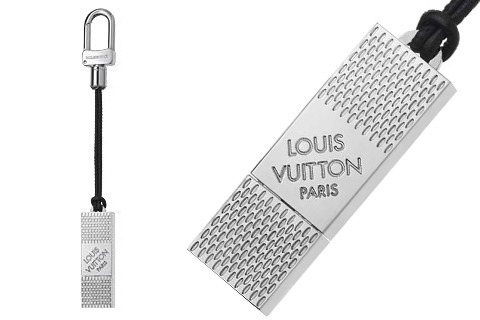 While I was browsing ILVOELV, I couldn’t help but take notice to this Louis Vuitton Flash Drive. The inspiration behind the Louie V Flash Drive is the Damier Graphite signature logo. The storage capacity on the flash drive is 4GB. For $450, you can pick it up at Louis Vuitton stores worldwide and online at louisvuitton.com.